Meizu 16th & 16th Plus sold out during its first-ever flash sale - Playfuldroid! Earlier today, the newly announced Meizu 16 flagship finally went on its first-ever flash sale in the Chinese market although it was ended in a blink of an eye. Both the Meizu 16th and 16th Plus were sold out across all the major online retailers in China including JD.com and Tmall. According to the Chinese company, they are currently working hard to replenish their stocks and will be holding another round of sales at 10PM China time to ensure everyone is able to purchase the device as soon as possible. 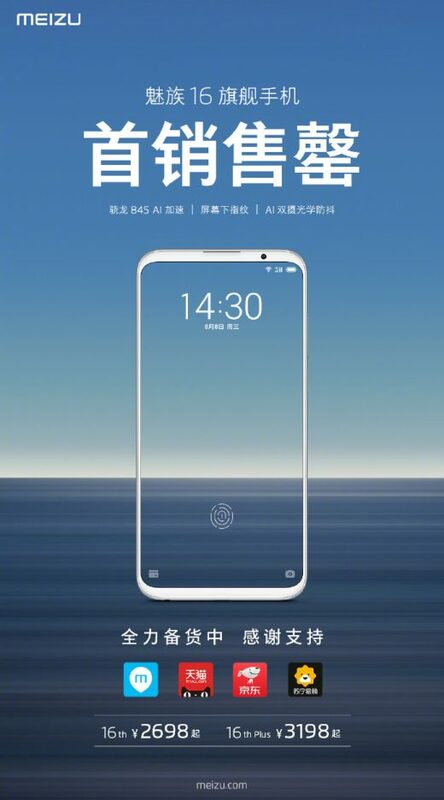 Currently, the Meizu 16th smartphone is tagged with a price tag of 2,698 Yuan (US$392), while the 16th Plus is sold at a slightly more heftier price tag of 3,198 Yuan (US$466). For those who’re residing outside of the Chinese market, you can also pre-order or purchase the same handset via various online retailers including GeekBuying and GearBest.